We all know that the Bay Area is a veritable hotbed of roots music talent, come on over tonight and revel in the glory as three bands from right next door treat us to an evening of honest-to-goodness, toe-tapping, down home bluegrass, americana, Cajun, and original music. As Calaveras, singer-songwriters Greg Beattie (guitar, bass) and Victoria Blythe (guitar, fiddle, mandolin, bass, recorder, harmonica), along with instrumentalist Dave Decker (guitar, baritone guitar, bass, mandolin), bring their rich vocals and acoustic instruments to bear on songs that run the gamut from the roots of American traditional song forms to explorations of contemporary sounds. 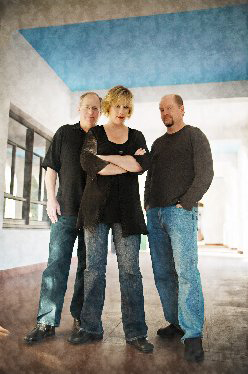 Their top-notch treatments of haunting folk ballads, sultry jazz-fusion torch songs, and insightful originals about birth, death, and everything in between have brought the group numerous awards, including the prestigious Kerrville New Folk prize, grand prize in the West Coast Songwriters International song contest, and the Napa Valley Emerging Songwriter Award. The six members of Harlan James Bluegrass Band are positively obsessed with bluegrass singing styles —the classic tight-stacked trio, the full-bodied gospel quartet, and the high-lonesome duet complete with a keening tenor. 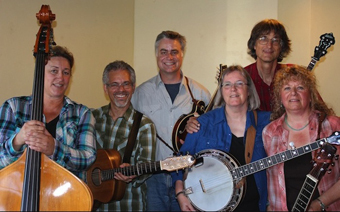 Linda Juratovac, Michael Thilgen, Jacob Ofman, Maureen Blumenthal, Kelly Trojan, and Eric Charles play primarily traditional bluegrass, finding inspiration in the down-to-earth melodies, the drive, and the tension of the bluegrass sound. 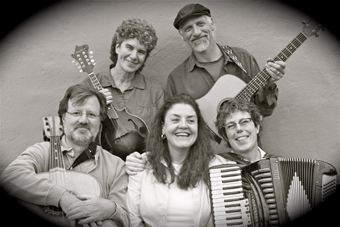 The eclectic style of Fools Creek beckons: “Come over to our house and let us play you some of our favorites.” Guaranteeing an eclectic experience, the group’s collective playlist ranges from Cajun to mariachi, from Appalachian fiddle tunes to Italian folk music, and from jazz standards to Puccini arias—all with an East Bay twist. Musical compadres Linda Schweidel, Marcia Condon, Dan Ringer-Barwick, Albin Renauer, and Patty Contaxis unite in this ambitious venture.